No matter what... Nerfs or difficulties. Nothing could stop us from winning. Why? Because we love this game. We are interested in playing in perpetuum. We want and we're winning. Thank you for participating in the tournament. We were interested to watch you and fight you. Tactics, victories, defeats - the main thing is participation. You showed that you also interested in playing in perpetuum and it's good. Thanks for organizing the tournament. We have long dreamed about such test for our robots/fit/skills/etc. Thank you for giving people what they want. I hope you will continue to do so. 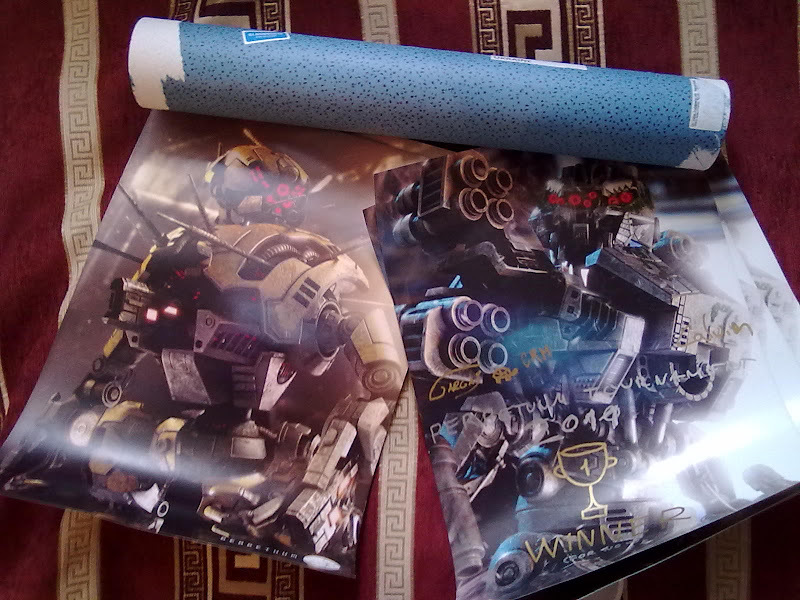 Finally, with the help of supernatural forces, chaos corporation received posters for winners. Now they can fill the walls of the room by the presence of mechs. Oh, those look really sweet! does anybody still have the videos. would like to watch them for nostalgic reasons.